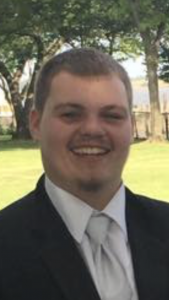 Donald Laird, Jr 23, of Linwood, PA passed away suddenly at home on September 21st. Donald was born on May 2, 1995 to Donald Laird and Dawn Johnson. He graduated from Chi Chester High. Donald had a smile that was contagious and a heart of gold. He was outgoing, adventurous, and loved life. He had a special way of lighting up any room he entered. He cherished spending time with his family and friends. Donald was an avid Philadelphia Eagles fan. He was preceded in death by his grandparents, Uncle Steve, Aunt Donna Marie, and Cousin Kadi Laird. He will be lovingly remembered by his father Donald Laird, mother Dawn Johnson, Sisters: Brianna Harris, Danielle & Desiree Laird, nieces Deeanna& Ava Harris, many aunts, uncles, cousins, and friends. Friends will be received on Thursday September 27th from 9-11 and funeral service will begin at 11 at Ward Funeral Home 1459 Market St Linwood, PA 19061. In lieu of flowers, memorial contributions may be made to Ward Funeral Home.